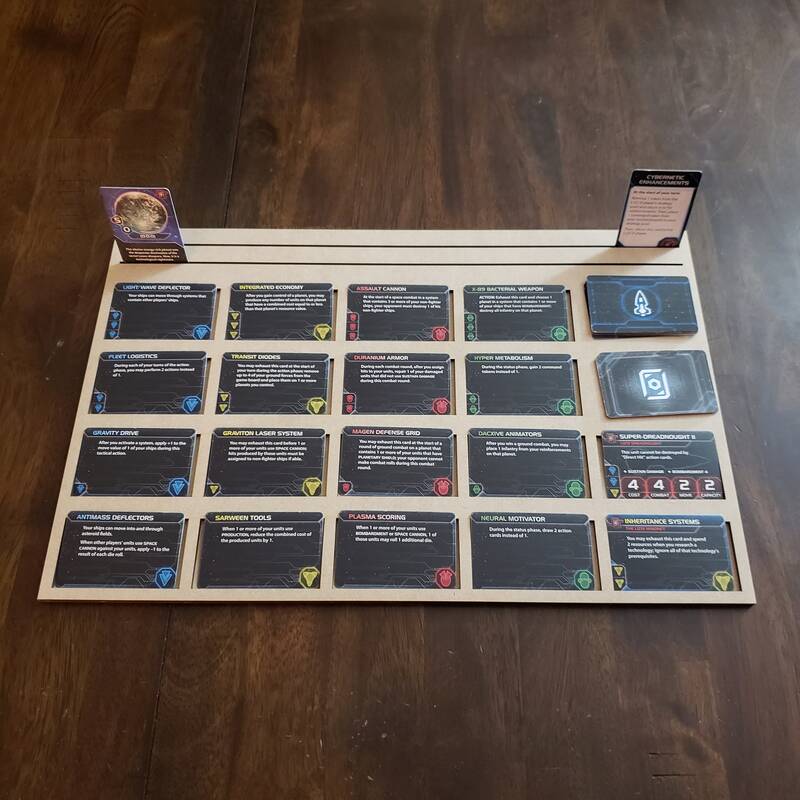 This is a set of 6 card trays for Twilight Imperium. 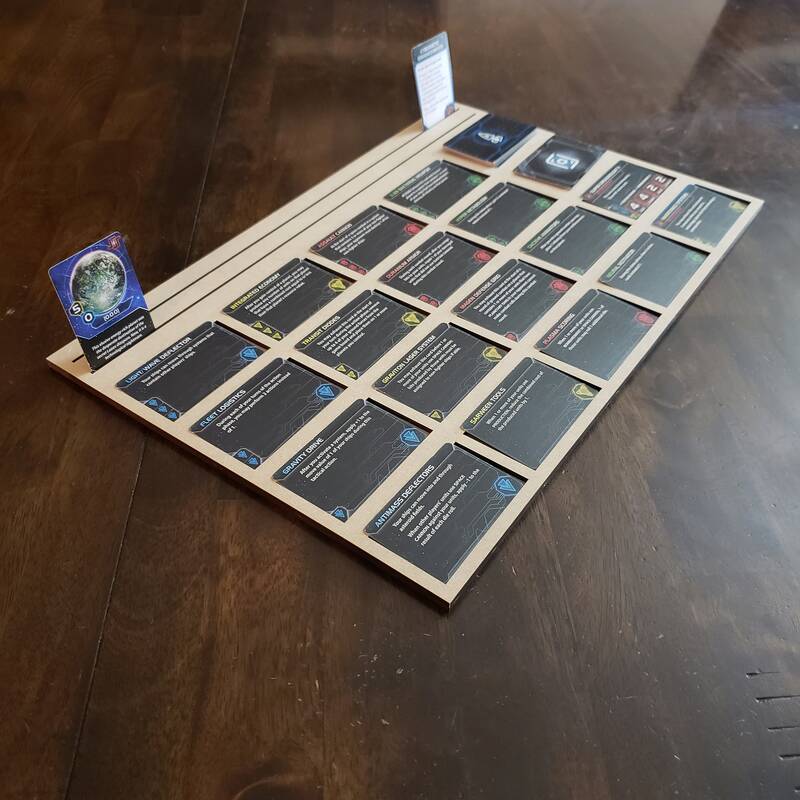 It is designed to hold the Tech Tree cards plus a players planets. The tray is 14 5/8" wide by 9 5/6" tall x 1/4" thick. It is made up of two layers of 1/8" MDF. It comes sanded and assembled and is ready for you to stain, or paint, and seal as you wish. We recommend that you at a minimum seal the trays for maximum durability. These trays ship free in the USA. If you would like a quote for shipping outside of the USA send me a message and we will get you a quote. 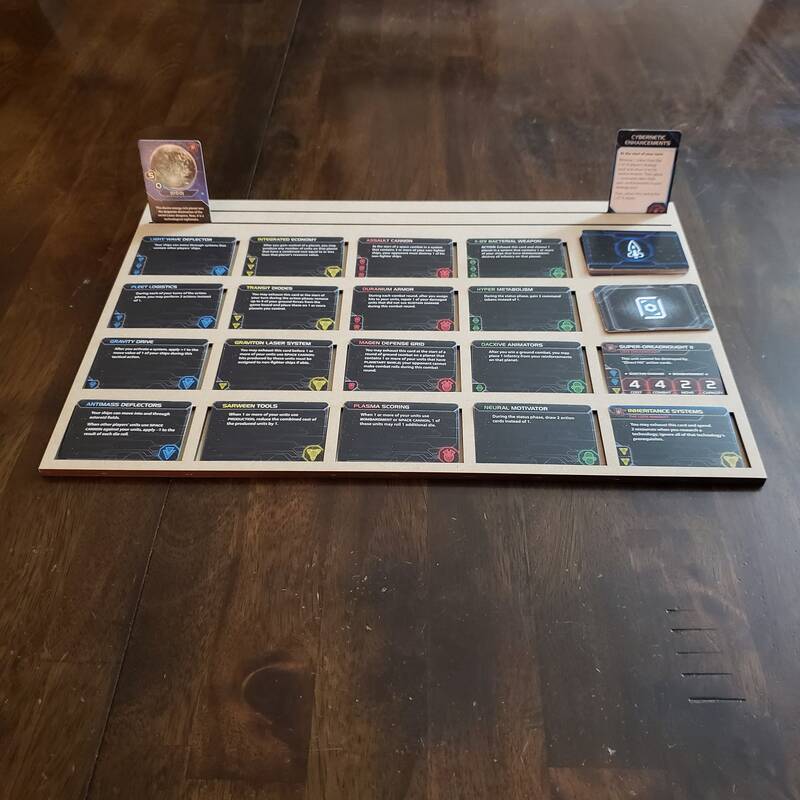 If you live close to Salt Lake City Utah and would like to pick your trays up in person let me know and I will notify you as soon as they are ready for pickup.